When you have your own cattery boarding business you know from the start it is a 24/7 commitment. If you run the cattery entirely on your own you could find there are times when you need to get away, and find it almost impossible. It is essential that you have some staff that are trained in your methods and can take over when and if necessary. It is easy to think that you can do everything yourself, particularly if you are a fit person, but the day might come when you are laid low with a migraine or a tummy bug and just feel it is impossible to get out of bed. 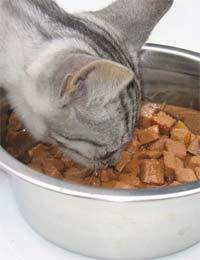 The cats will still need feeding and cleaning and the customers will still need to bring their cats in or collect them. This is when your trained staff are essential. Does a Cattery Need Permanent Staff? A cattery can be run very successfully by one person, depending on the size. Even in a fairly small cattery the problem of staff absence can still arise and that is when you will need trained staff to take over. In the busiest months of the year you can employ temporary staff who will know the day to day running of the cattery and hopefully one of them would be available if needed at other times of the year. It is imperative that you train your staff and that you have complete confidence in them. If you have staff that you can rely on entirely it will give you the freedom to have some time off. You might have a family emergency that requires your attention, there are many scenarios that could occur, and to have reliable staff will be a great comfort to a cattery owner. If you have a close family member that could step in and help if needed it would be an advantage, but if not you should have at least one capable reliable person. Must the Owner be Hands on? The owner of a boarding cattery is the person who's name is on the licence, as such that person is ultimately responsible for the day to day running of the cattery. However, if you have good reliable staff there is no reason why you should have to work in the cattery itself. You would need to make sure your staff were well trained in the first instance, then providing you are happy, you can leave the day to day chores of the cattery to your staff. When you are faced with staff absence through illness or holidays it might then be necessary for you to take over. This is probably a good thing as you will be able to access how well the rest of your staff are working. When employing staff for your cattery it would be prudent to tell them that their holidays cannot be taken during the height of your busy season. Likewise you should not expect to take your holiday during the busy months. You can, if you wish, close the cattery for a time during the quieter months, but even then you will risk turning some customers away. Your licence will stipulate that a responsible person will always be on the cattery premises, so if you decide to stay open while you are on holiday you will need to have someone living in your house. You will need to decide whether you have a member of staff that you can rely on to live in your house, and run your business while you are away.